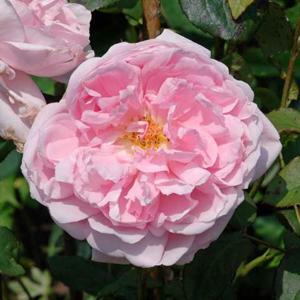 English shrub rose with abundantly produced smallish, double, cup-shaped rose-pink flowers. Myrrh scented. Compact bushy habit and dark green foliage. Raised by David Austin Roses, 1969.